It's been described as 'the best concept album ever made'. A music soundtrack with a chilling narrative that describes a violent alien invasion of planet earth - and one that has been a major inspiration to Steven Speilberg, who has re-told its story as a soon-to-be-released Hollywood blockbuster starring Tom Cruise. 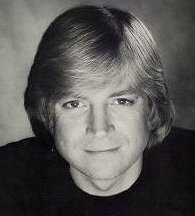 So when Dean Street-born Justin Hayward of the Moody Blues sung the memorable song 'Forever Autumn' on the 1976 album 'The War of the Worlds' [TWOTW], he already knew he was part of something special, if a little different. "When Jeff Wayne [the producer] puts his name to something, you know it'll be good," Hayward said. "I wasn't sure if the whole idea would work at first, but it was a fantastic project to be a part and I'd like to think it was some of my best ever work." Hayward's 'Forever Autumn' (a beautifully orchetrated track that describes the devastation brought on by the extraterrestrial intruders) itself hit top five in the UK charts in 1978 and helped TWOTW album become a multi-million seller around the world, and cement its place as a seminal piece in rock history. Ironically, the masterwork proved especially popular in North America, where an original radio broadcast of HG Well's classic of the same name forty years earlier had caused widespread panic amongst those thinking that the world was about to end. 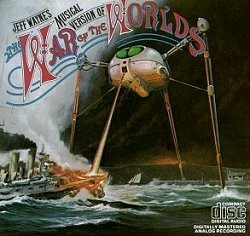 That stunning effect wasn't lost on record impresario Jeff Wayne, who in the mid-70s decided to musically re-visit TWOTW, this time by re-constructing the stunning radio masterpiece with an equally memorable piece of his own. Others to appear on the album were 'The Journalist', voiced by the commanding tones of Richard Burton; Julie 'Don't Cry for me Argentina' Covington; David Essex; and Thin Lizzy's Phil Lynott. Manfred Mann's Chris Thompson also sang. But it is the former-Commonweal schoolboy, Justin Hayward, that fans vividly remember the most when, as the first singer to appear on the album, he hauntingly reminds us: “The chances of anything coming from Mars are a million to one, but still they come”.